Throw on these awesome RVCA pants and get ready for 48 hours of party time. 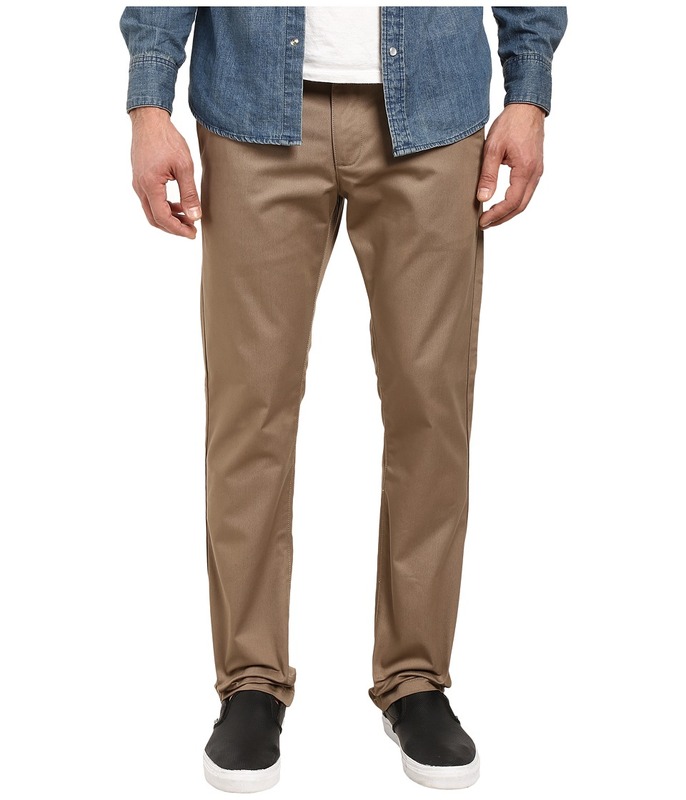 Chino slack pant is crafted from a comfortable and durable cotton-poly twill fabrication. Slim-straight fit throughout. Hand pockets at side. Rear welt pockets with brand label. Belt loops throughout waist. Buttoned front closure with zip fly. 65 percent polyester, 35 percent cotton. Machine wash cold, tumble dry low. Imported. Measurements: Waist Measurement: 31 in Outseam: 42 in Inseam: 32 in Front Rise: 10 in Back Rise: 15 in Leg Opening: 16 in Product measurements were taken using size 31, inseam 32. Please note that measurements may vary by size.